Superstar Salah, a humble philantropist! Let us begin on the field of dreams. 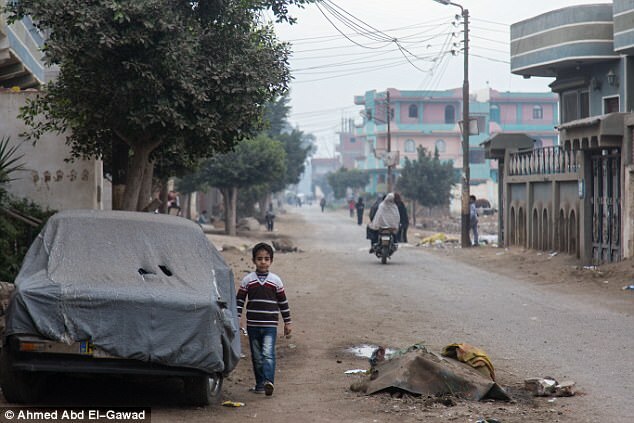 It is Monday lunchtime and we are in Nagrig, a small farming village tucked away off the main route that connects Cairo with Alexandria. Down a dusty path that splits a field of jasmine, the scent of which lingers in the air, nine little boys are playing football. The pitch, scorched and bobbly, is squashed in between a row of flats — some are in disrepair, others have been left half-built — the local mosque and a community centre. This is where the local children come to enjoy themselves and be free. Nagrig might be economically challenged but its people are friendly and happy and, today, they have never been more proud. It is from these humble beginnings, after all, that world football’s latest star emerged. 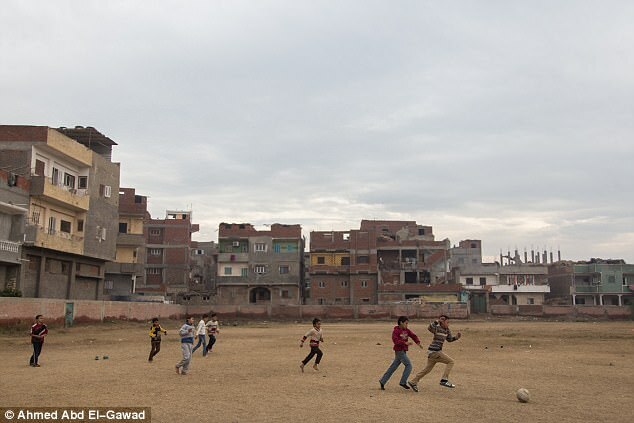 This is the home of Mohamed Salah. 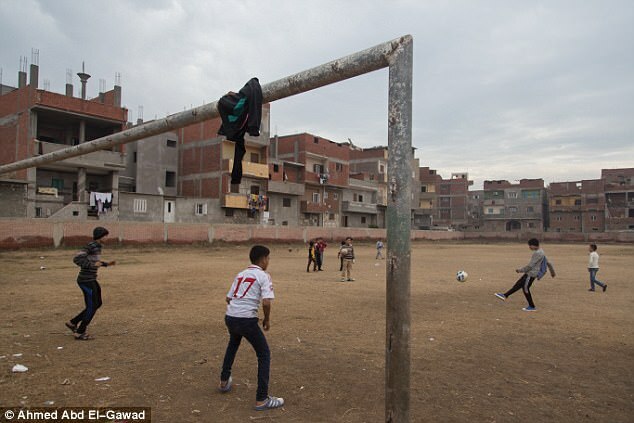 To walk around these quiet streets, you would not think it possible for someone to embark on such a thrilling journey but Salah, the eldest of four children, played on that same pitch, a two-minute walk from his family apartment, believing he could emulate his idols Ronaldo, Zinedine Zidane and Francesco Totti. Now this generation believe they can emulate him. Salah has given many things to Nagrig. 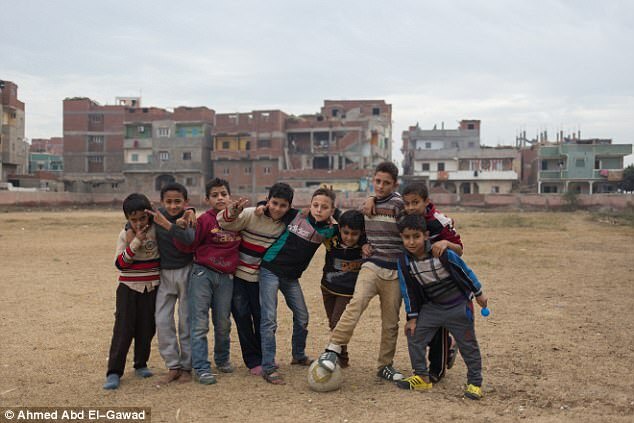 He bought gym equipment for the community centre that now bears his name and paid for an all-weather football pitch to be built at Mohamed Ayyad Al-Tantawy school, where he studied. He gives money to help couples get married and frequently contributes to charity. More than anything, he has given hope. ‘He still comes back to Nagrig, every Ramadan, to present prizes to local kids,’ says Mohamed Bassyouni, a childhood friend. 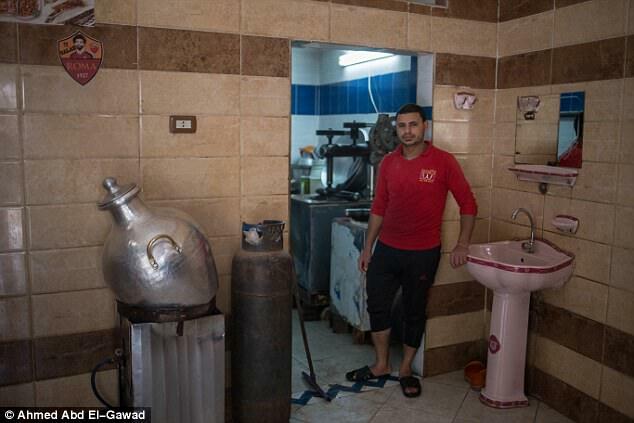 ‘Here’ is the cafe that Bassyouni owns but ‘cafe’ will not give you the right image. 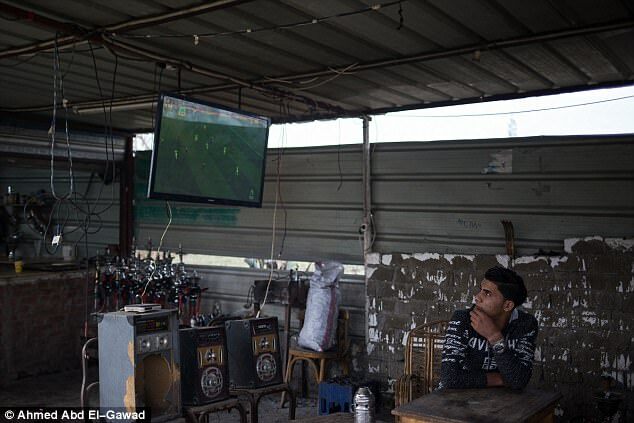 Think of a big garage with a wall missing, next to a football court, that has a large TV to show games from Europe. But it is charming and is still one of Salah’s favourite places. ‘He was always going to go far,’ Bassyouni continues. ‘Why? The left foot! Always left foot! He was so quick, so clever. The question Salah faced was how he would get there. It is hard enough getting down the pot-holed bumpy roads from Nagrig to Tanta, the nearest big town, but how would he fulfil his aim? The answer arrived in the form of the Pepsi League, a competition organised by the drinks company for schools. 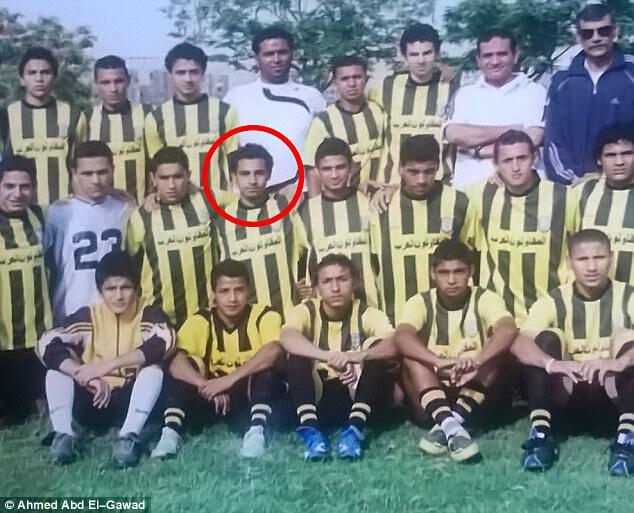 Arab Contractors FC (El Mokawloon) have scouts and subsidiary clubs all over Egypt and they spotted him playing in Tanta when he was 14. He was invited to train with them in Cairo. Some days his father would take him on the five-hour, 200-mile round trip. Other days he had to get five buses. The long days and tiring journey would not deter him and soon enough he was invited to stay. Zamalek and Al-Ahly are Egypt’s biggest clubs but Arab Contractors believe in youth. They have lodgings built into the main stand of their Osman Ahmed Osman stadium to motivate those with aspirations of playing at the top and we are given a tour of the facility. Salah’s simple room, 510, overlooked the pitch. They recall him being ‘hadi’ (the Arabic word for ‘quiet’, which crops up frequently), someone who would do his work and then retreat for the evening after having his favourite meal of soup, barbecued chicken and green salad. On Merseyside Liverpool’s players are well aware that a perfect day for him is spending time with his wife, Magi, and daughter Makka. ‘Mohamed was willing to sacrifice everything,’ says Hamdi Nooh, a former Egypt international who was Salah’s first coach at El Mokawloon. ‘When he came, it was too much left foot. I looked at him and said, ‘You have to use your right’. He replied, ‘OK, sir!’ Always the same answer, always polite. ‘The next morning, he is there: practise, practise. I told him how to change from being an amateur to a professional and to get to the top level. ‘The more you practise, the more you will become famous, the more you’ll earn. But you have to carry on when you’re not here. ‘I called his father when he used to go home. I told him to keep a timetable: no staying up late to watch TV. No getting out of bed late. He didn’t. Yet the journey from Egypt to Europe owed something to another key figure at the club. Before becoming Egypt’s Prime Minister, Ibrahim Mahlab was El Mokawloon chairman. It has been reported Salah turned down a move to Zamalek in 2011, but what is not known is that both Zamalek and Al-Ahly returned with offers for Salah a year later. Mahlab wouldn’t consider doing business. ‘Mahlab felt he belonged at a club in Europe,’ says Alaa Nabil, El Mokawloon’s academy director and a former assistant coach of Egypt. ‘He was convinced he would succeed. His arrival at Basle in Switzerland would prick the attention of Liverpool scouts in 2013. They watched him in all the important games, particularly in the Europa League against Tottenham and Chelsea. There were missions to watch him in training camps. 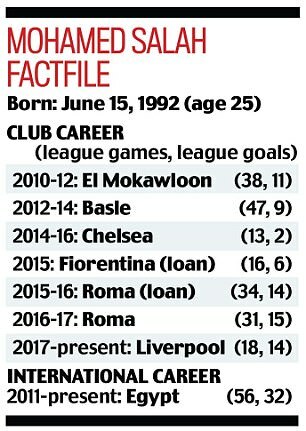 Then Chelsea signed him in 2014, but Liverpool continued to follow Salah, through spells at Fiorentina and Roma, chief scout Barry Hunter, Dave Fallows, the head of recruitment and sporting director Michael Edwards were adamant Liverpool should act if the chance arose. 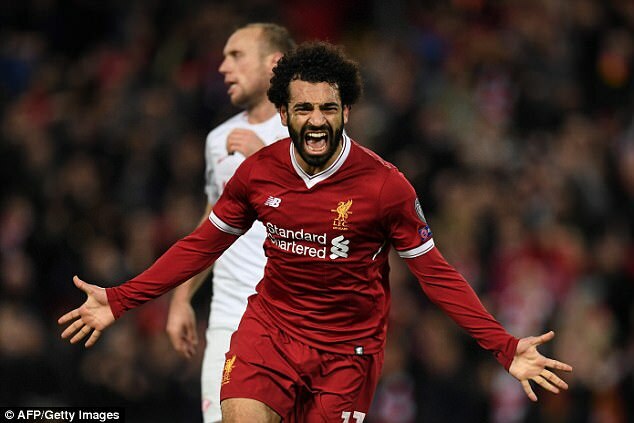 It was discovered Salah felt he had ‘unfinished business’ in the Premier League after difficulties at Stamford Bridge and when it was put to Jurgen Klopp — who had also long been a Salah fan — at the end of 2016 that Liverpool should pounce, the verdict was unanimous. What has happened since his arrival in June has been beyond all expectations, but there is more to it than just 20 goals from 26 games. Salah is becoming the hero the Kop had craved and, back in Egypt, his popularity has gone off the scale. 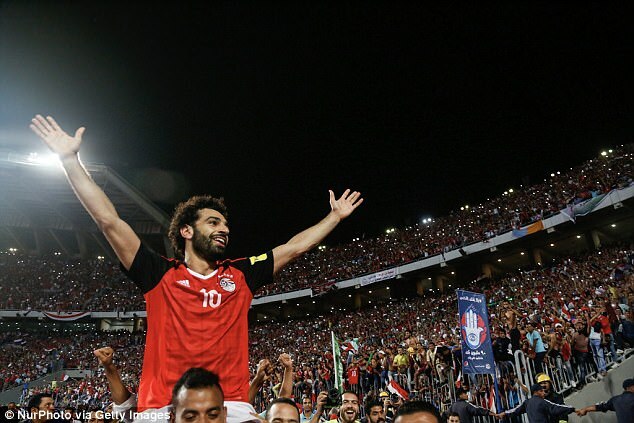 He carries the hopes of a nation, the bond between player and fans cemented when he scored a last-minute penalty against Congo in October to send Egypt to a first World Cup since 1990. ‘Salah had a hand in all seven goals that took us to Russia — two assists, scoring five of his own,’ Mahmoud Fayez, Egypt’s assistant manager, explains. ‘The penalty? It was one of the most unforgettable moments in my life. But we all trusted him. The day before we played Congo, I called him. Salah was offered a villa as a reward by Mamdouh Abbas, a former president of Zamalek. But the player asked that a donation be made to Nagrig instead. And there is another tale that has not been told. While Salah was playing in Alexandria, his family were robbed. 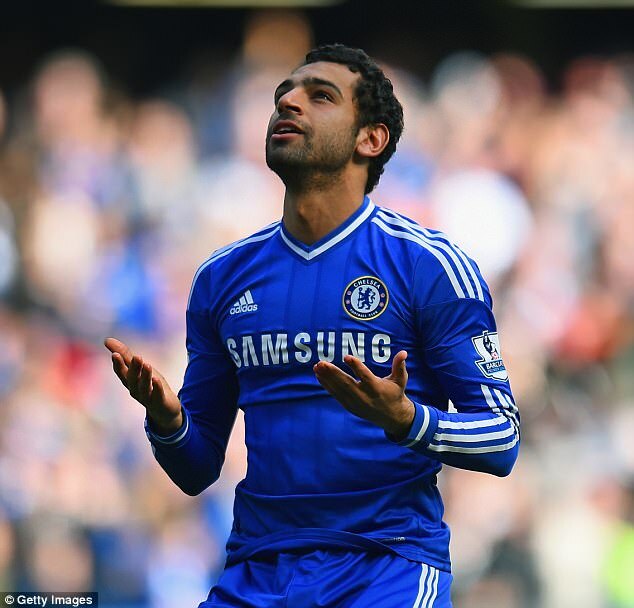 The thief was caught a couple of days later and it was the intention of Salah’s father to press charges. When his son heard what happened, however, he asked him to drop the case. 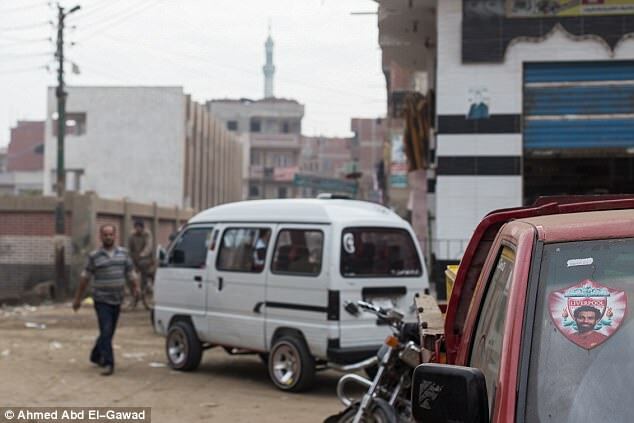 What happened next gives you the biggest insight of all into his character, as Salah gave the thief some money to get his life up and running and tried to help him find a job. Salah wants everyone to have a chance to better themselves and that it is why the Egyptian is uniting a nation. ‘He is doing an extraordinary job,’ Fayez says. ‘The secret of his brilliance? It is his modesty. ‘He is a superstar but he lives as a simple person. He uses his abilities to serve his country and you can see what it means to him when he sings the national anthem.